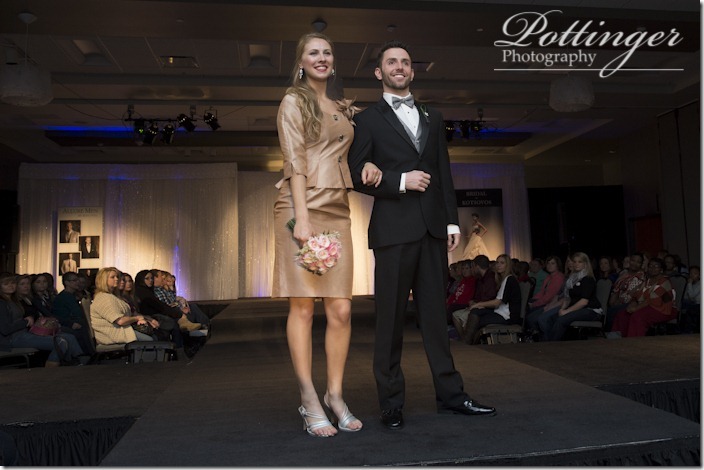 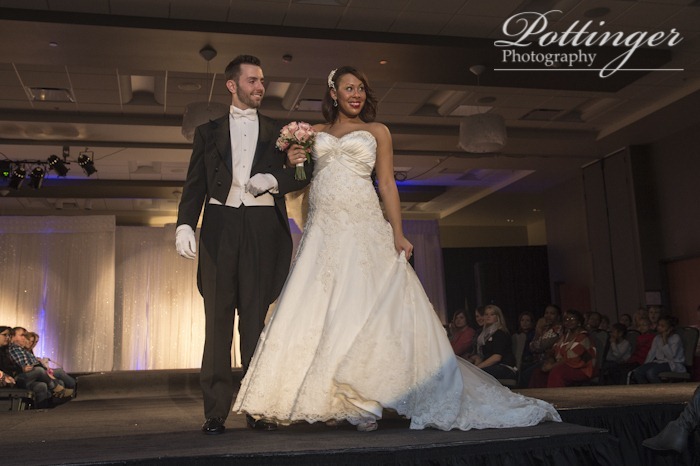 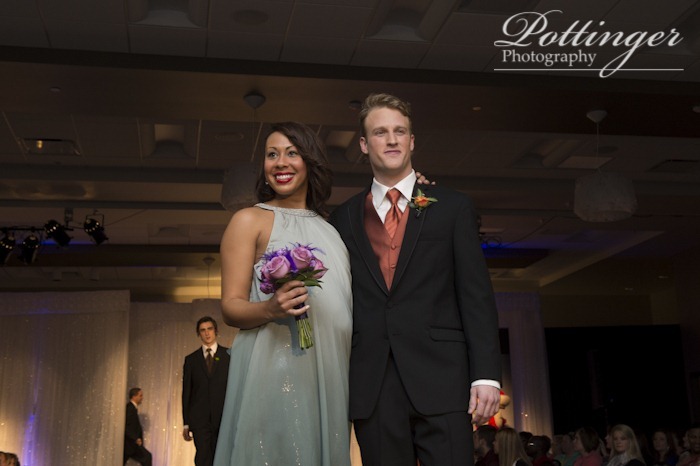 Posted on Thursday, January 9th, 2014, by Brenda Pottinger under Misc..
One of the best parts of a bridal show is the runway! 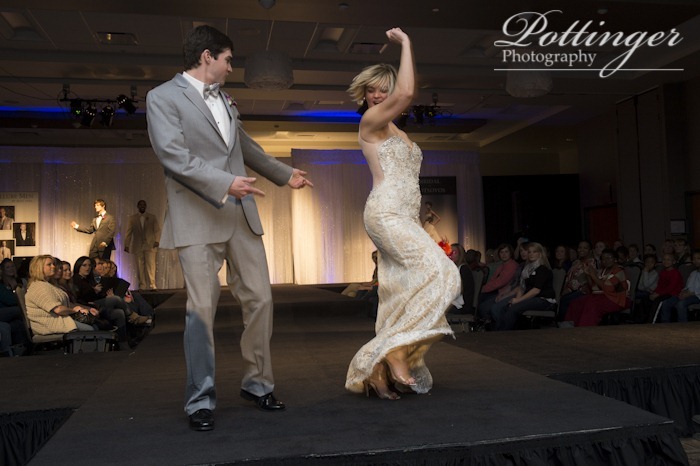 Be sure to meet us at the Sharonville show this weekend from 11:00-5:00 each day. The fashion shows are at 1:00 and 3:00 p.m. each day. We love seeing the hottest trends in dresses, tuxes and flowers. 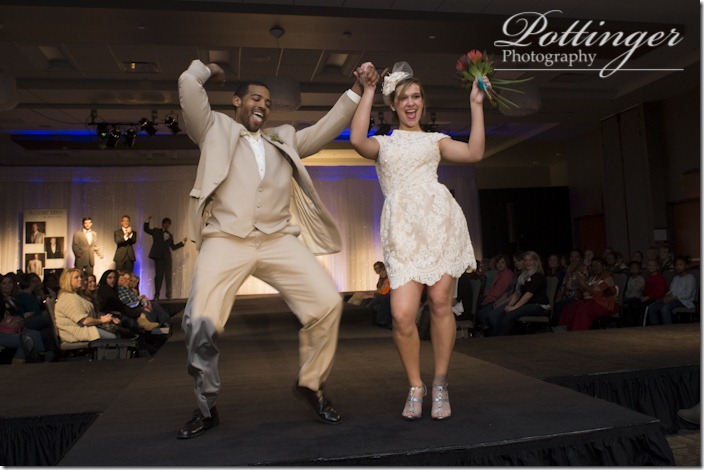 The Cincinnati Wedding Showcase always has a very fun and upbeat fashion show that includes live singing and lots of dancing. 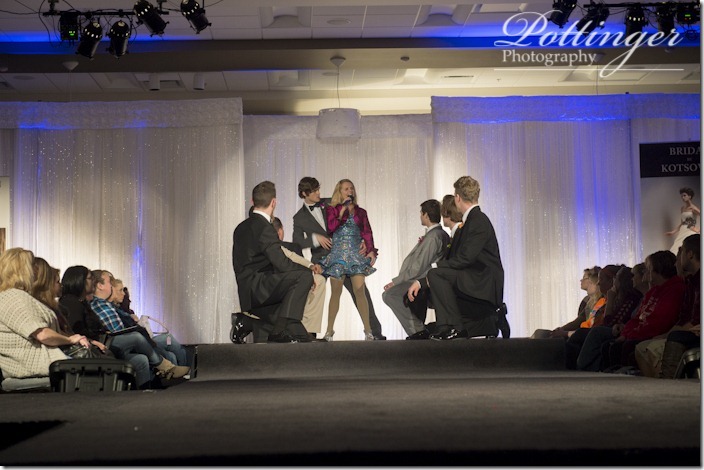 It always draws a crowd and has standing room only. The dresses from Kotsovos are unique and the classic tuxes and ties are from Folchi’s. 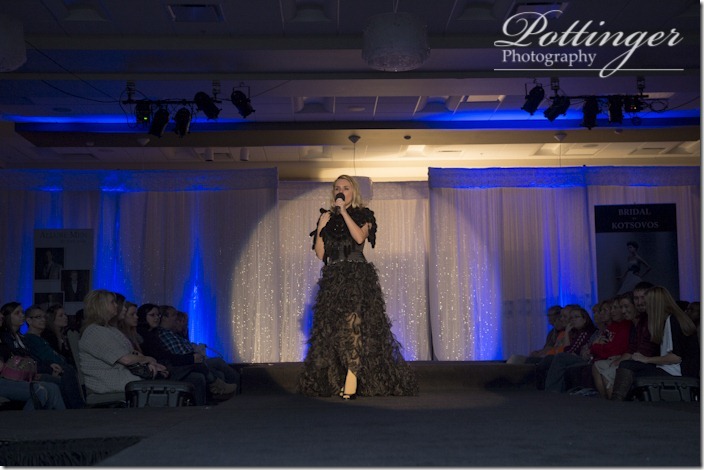 A special thanks to CSC Special Events for the amazing lighting and sound! 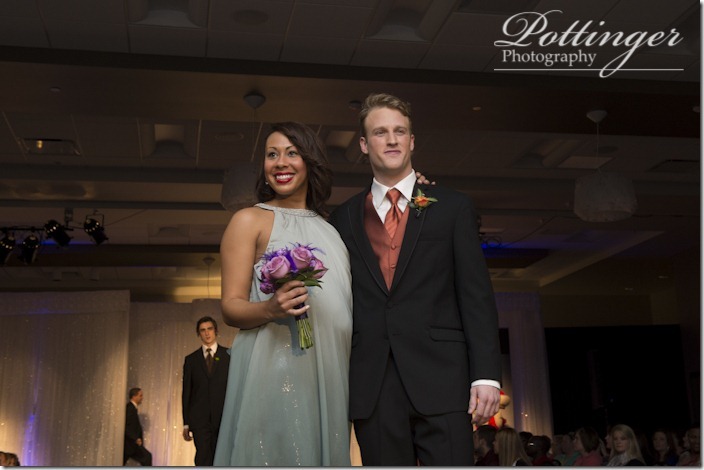 The fun floral designs are from Say I Do.